Home » Events » Quiz Night 2015! 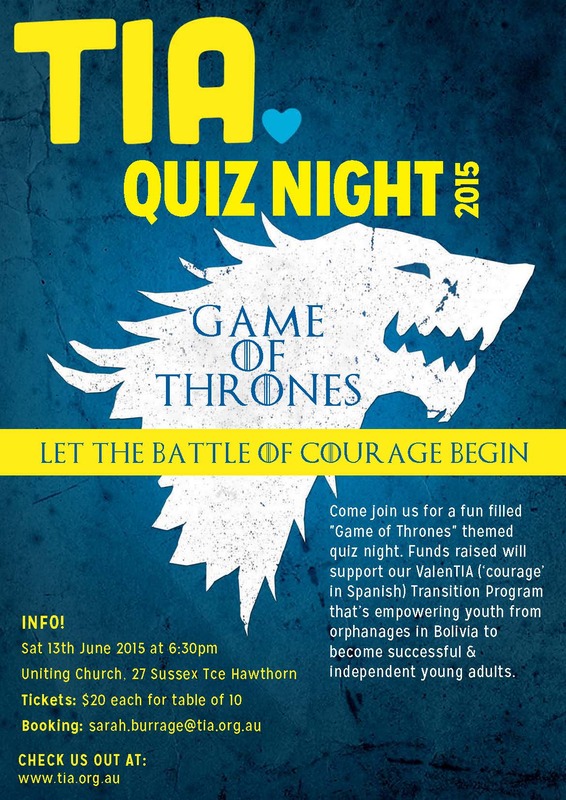 Come join us for a fun filled “Game of Thrones” themed quiz night! Funds raised will support our ValenTIA (‘courage’ in Spanish) Transition Program that’s empowering youth from orphanages in Bolivia to become successful & independent young adults.